Seniors are most at risk of developing age related brain diseases. Consequently, action to protect themselves is important. 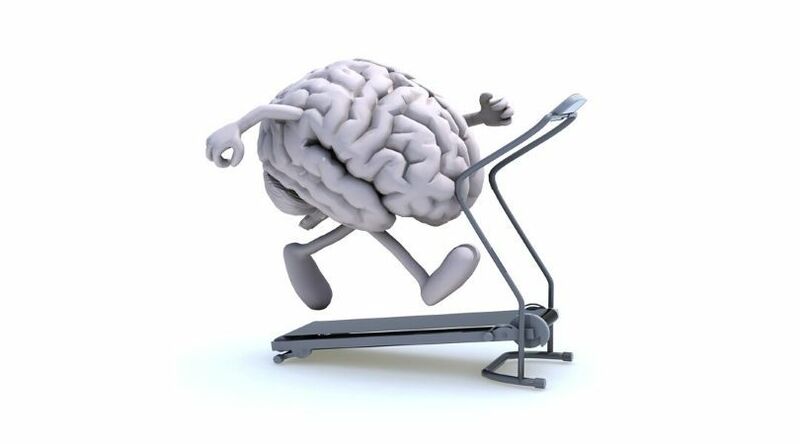 Brain exercises for seniors help seniors combat age related brain diseases. Guidelines for duration and intensity of exercises for seniors is provided elsewhere. Most of all, always include a 5 to 10 minute warm up before starting exercises for seniors. Doing light exercises such as walking in place and arm circles, gets your muscles and joints warm before doing strength exercises. For the first five minutes, begin your walking, jogging or, recumbent bike exercises at a slow pace. Walking is one of the most beneficial aerobic brain exercises for seniors. Take a walk in your neighborhood. Also, if you are just starting out with exercising, walk at a pace you are comfortable with and as long as you are able to. And, as you get used to the walking, increase the time and/or the intensity as described elsewhere. Furthermore time yourself to keep track of your weekly totals. And, if you live in a neighborhood where walking outdoors is not possible, you can: a) drive to a place where you can walk, b) drive to a health club or gym near you and use their treadmills, or c) purchase a walking treadmill so you can walk in the comfort of your home. Dancing is another one of those beneficial aerobic brain exercises for seniors. And, studies show that dancing strengthens the connection between mind and body. However, dancing will work for some people and not for others. Also, it’s a fun way to get good aerobic exercise and even sweat a little. In addition, most likely you will go dancing once a week. Therefore, mix dancing with other aerobic activities like walking. The recumbent bike is a great exercise for seniors. And, most important, a recumbent bike is more comfortable for seniors with lower back pain or degenerative disc disease. This is because the recumbent bike has a backrest that provides back support. Also, the recumbent bike gives you an aerobic workout. In addition, the recumbent bike can be used either at a health club or in the comfort of your home. Furthermore, you can pedal as much as you are capable of doing. Relatively high intensity interval training brain exercise for seniors helps reverse some symptoms of Parkinson’s disease. Studies show that weight lifting is a great brain exercise for seniors. So, start with small weights are increase them as you get stronger. Most noteworthy, some basic exercises that only require a pair of dumbbells and a chair. Especially relevant, a 8 minute brain exercise (hand weight) that hits most of the main muscle groups. First of all, one way to measure brain improvements is to take cognitive tests. Also, many cognitive tests are available on the internet. And, this one is a typical. In conclusion, several brain exercises for seniors, that improve brain health, have been provided. Most of all, use them to combat brain diseases.